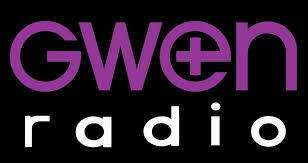 Tess Cacciatore hosts the awesome GWEN TALKS RADIO show on iHeartRadio every Wednesday. On Oct 18, 2017, I was a featured guest on Ep. 2 "Victorious"
Listen to Ep. 2 "Victorious"
And.... yesterday, Dec 20, 2017, my Silent Night was the Holiday inspired song on Ep. 11 "The Immaculate Perception"
Listen to Ep. 11 "The Immaculate Perception"
Thank you, Tess Cacciatore and GWEN | Global Women's Empowerment Network, for having me on and for the incredible work you do every day for women and our causes! Proud to be a GWEN Girl! !